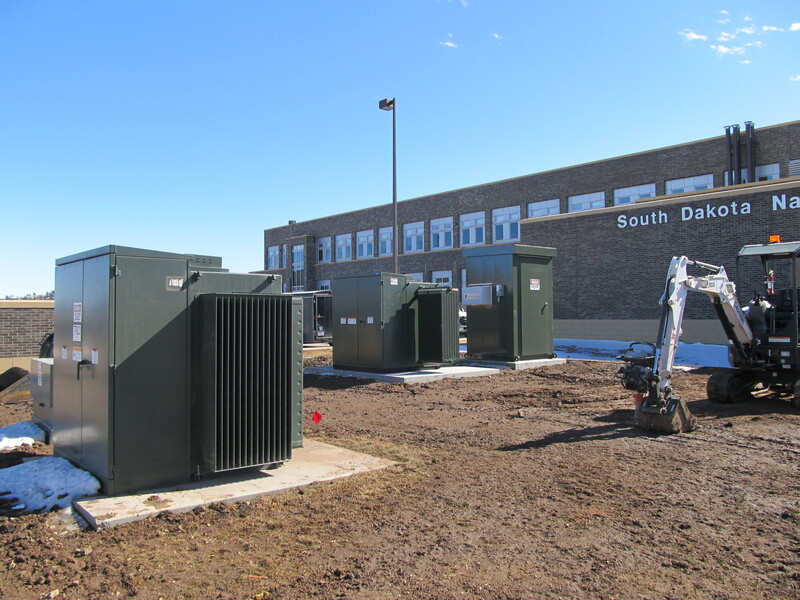 West Plains Engineering worked with the South Dakota Army National Guard to add an auxiliary power system at Camp Rapid. Camp Rapid has an existing 2MW diesel stand-by generator that the SDARNG wanted to use to back-up the entire campus if Possible. WPE was tasked with designing a way to tie into the existing 15KV Medium voltage loop around the campus and isolating itself from the utility source. A new 15KV recloser was used for utility isolation along with a SEL relay and breaker to tie the backup generation into the campus. The protective relaying was set up for loss of voltage sensing with automatic system isolation from the utility and transfer to the backup generation through a recloser with electronic control. WPE also performed a load study to determine if the existing generator had the capacity to back-up the campus as well as setting a load shed point in the case of nearing generator maximum capacity. Once the project is complete, the SDARNG will have a total campus back-up system that should have capacity for the long term future.